Hi guys. Today seems a very remarkable day largely because there are lots of celebrants oh. So from us we say happy birthday, happy married life and happy celebrations to all today’s celebrants, may Joy never cease in your life. I’m particularly excited today, because it is a special someone ‘bornday’. One very unique thing about my guest is …. He is so humble, like humble. Not only is he humble he is also a vision supporter, a giver and a great encourager. Kindly do me a favour, after reading this post, if he has being a blessing to you one way or the other, please share your experience. *winks. In the mouth of two or more the truth is established. I must also laud MC Solid for granting this interview despite the short notice. So here we go. Fasten your seat belt, grab some refreshments and lets take a voyage into the life of MC Solid. Mc Solid: No. I went for a missionary trip with a group called d landlords so d leader of d team wanted to meet us & I was d 1st person she asked my name so I replied by saying “Onyibe stephen Ikechukwu” So she said strong or Solid. So I choose solid. Since then my name has been solid. 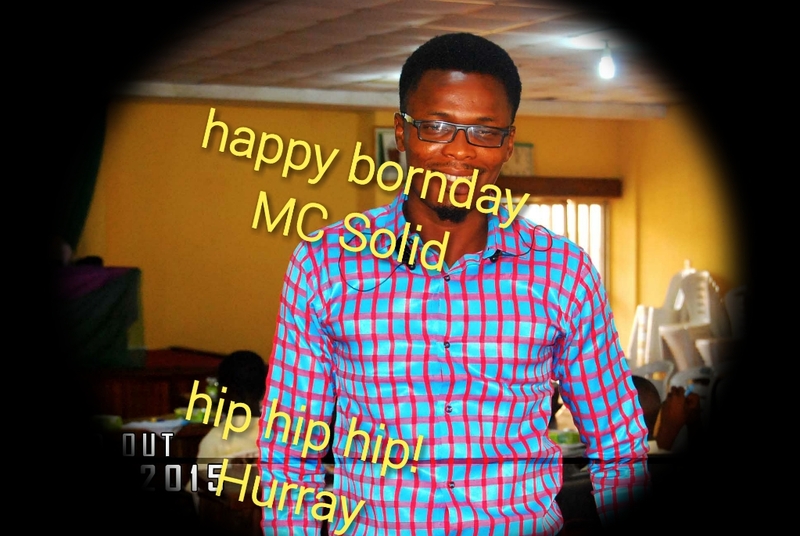 Mc Solid: It’s been God. Coz for u to be able to break grounds in Ibadan you must work hard. Hep: So they had several performances right? Are you still with them? Hep: Congrats on the birth of your company, what is Solid Classic entertainment about? Mc Solid: Solid classic entertainment plus is a company that deals with entertainments….please quote my word it’s a gospel company….permit me to say it that way. We do strictly gospel, we go anywhere but we don’t go everywhere. Our mission is to help up & coming artistes to develop their gifts & also push them to where God is taking them to. Mc Solid: Turaka means to cheer up and forget your worries. 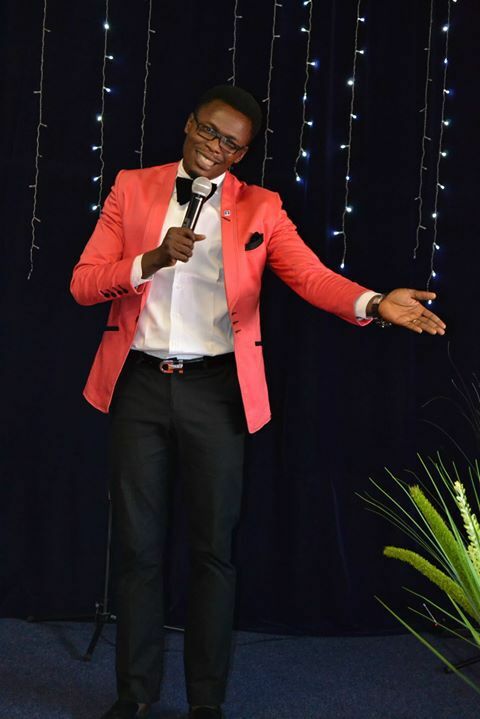 The concept is to get people to laugh away their sorrows and cheer up through gospel comedy. It is meant to give hope to the audience. 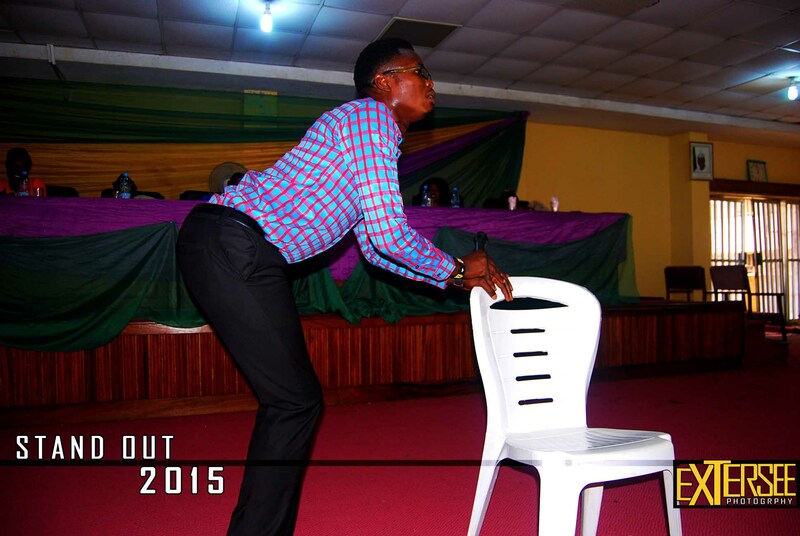 TURAKA it’s a programme that was laid in my heart many years back, it’s a gospel comedy programme, also to evangelise d gospel of Jesus….Turaka goes to churches in a way of evangelism also to make d body of christ know that we have gospel comedians in Ibadan. Turaka has been to several states in Nigeria including Port Harcourt & Abuja. Turaka will be a year by 29th of June. 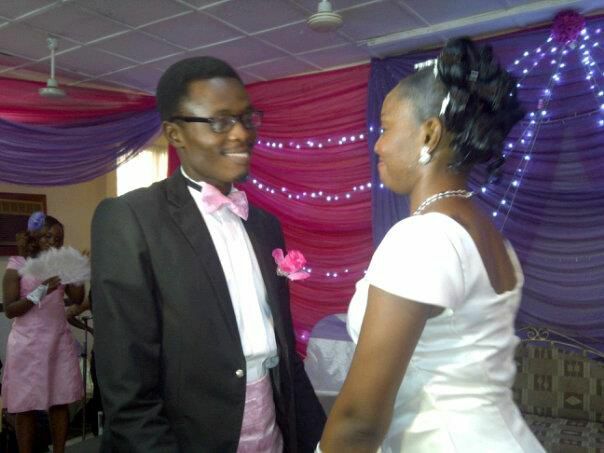 Mc Solid: Yes am married to a lovely Lady by name Mrs Favour Onyibe. God also blessed us with a baby boy. 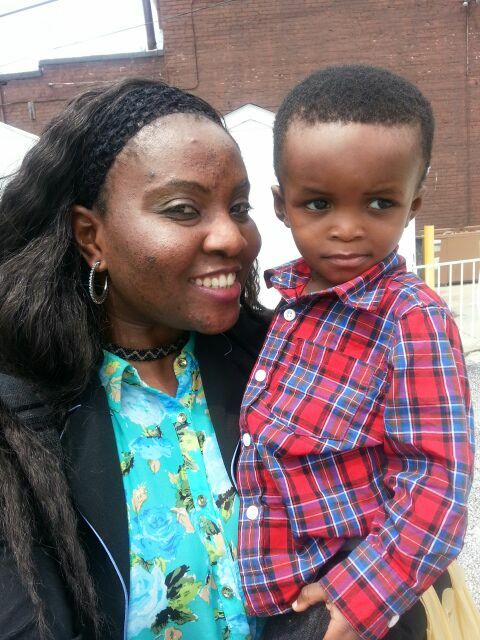 My wife & Son are in d United States of America. I believe that when you have a vision & d vision is well understood by your wife, to carry it out won’t be a problem. Living alone as a married bachelor hasn’t been a problem to me coz I av a lot of guys that I work with & we are always together. I also talk to my wife everyday without hiding anything or keep anything away from her. If you call my wife @ any time to ask her my whereabouts, she will tell u coz I do update her about my movement. I won’t keep things out of talk coz we really need it….temptation is also high on my side based on my work not to talk of my wife not been around. What I believe is when u know where God is taking u to, you do away with all distractions. Hep: I must commend the understanding and transparency between you and your wife. I pray, God would settle all that concerns you. Lastly, what’s your advice to up & coming comedians. Mc Solid: My advice to up & coming comedians is that they should be consistent in what they do, prayers, hard-work, also to be sincere to themselves. God bless. Hep: Thanks so much Mc Solid, its being illuminating chatting with you and thanks for sharing with us. Check Mc Solid’s youtube channel. 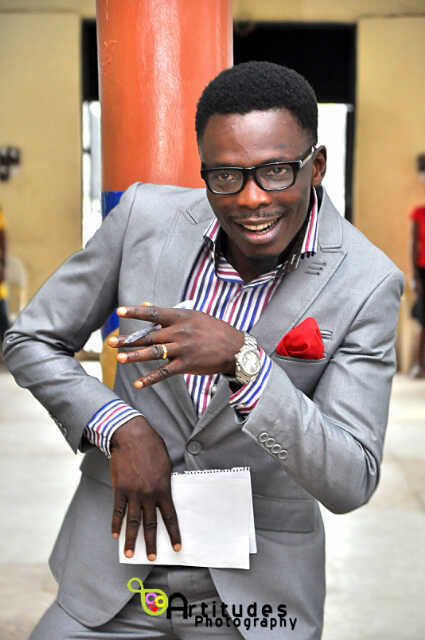 From all of us here, we say, HAPPY BIRTHDAY MR STEPHEN ONYIBE: SOLID MINISTER FOR COMEDY. 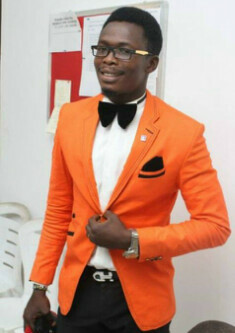 Hmmmmm.cool interview ƛŋδ sense making.Solidfavour,kudos to u cos has really helped u durin mumsi’s absence ƛŋδ ∙̇∙̇∙̣̣̣̣̣̇̇̇∙̣̣̣̣̣̇̇̇∙̇∙̇ GD will continue to help u eldest bro.Happybirthday to u once again bro.luv u all.Solid,mumsi,my younger bro ƛŋδ interviewers. Solid! Has been a great blessing to me in my studies and life as whole. Bigger him I pray IJN. Mc Solid, we pray that God will lead you through and God will bless your home. Regards to his wife Mrs Solid. HaPpY BiRtHdAY BoSs!!! Solid! Is my oga at d top,he has been a blessing to my life in all ramification,higher nd bigger him I pray.God ll continue to bless nd uphold him.HAPPY BIRTHDAY BIGGEST BROTHER. Solid is naturally gifted. Nice interview. Keep the good work bro.